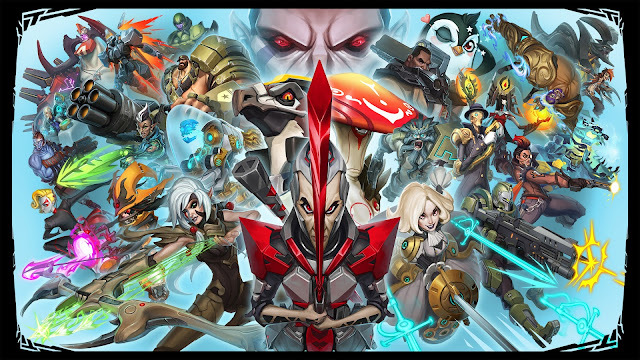 Dr Jengo's World: Battleborn Statues by PCS Collectibles coming?? Jerry from PCS Collectibles revealed a major piece of news today! In a regularly updated Q&A thread on the StatueForum, Jerry revealed that PCS Collectibles will be producing 1/6 Statues from the new game, BattleBorn. With 25 playable characters in the game on release & more to follow in future DLC, there will be a wide range of characters to choose from. While I haven't seen any official release regarding this, it's safe to say this will become a reality soon. Battleborn is a game that I have been increasingly interested in the recent months but a bit too early to say which character(s) I'm looking forward to, but I'm sure many ardent followers would already have picked their own favourites.. So tell me friends, which characters are you looking to see?